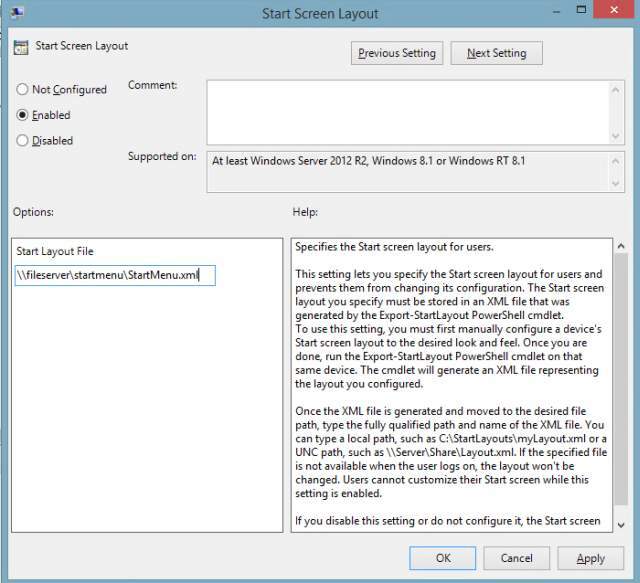 with a small trick you can strongly improve the login times for Windows Server 2012/2012 R2 in a XenApp/XenDesktop 7.x environment or if you run into a black screen during the login. Just delete the registry entry HKCU\Software\Microsoft\Windows\CurrentVersion\UFH\SHC for example thru an login script, see also KB 3161390. We reduced the login time for a User from more than 40 seconds to less then 20 seconds without any negative impact, so it’s worth to try it out. as you may already note, XenDesktop/XenApp 7.9 was released and it’s now comes with support for the Akropolis support from Nutanix. To get your Nutanix installation working it’s important to know that you have to install the “NutanixAcropolis-MCS-XD7.9_or_later.msi” provided by Nutanix (Nutanix Portal->Tools) on all of your XenDesktop/XenApp 7.9 delivery controllers. The Software was released today, the old Version does not work with the MCS and your Akropolis Hypervisor must be Version 4.6.1.x or higher! The installation is quite simple and the manual provided by Nutanix works well, one important thing (i run into this issue)… It’s not enough to create a Master VM! You must take a snapshot and the snapshot name MUST start with “XD_” so like XD_TS_Master_2012R2_Snapshot. Otherwise the snapshot will not be recognized during Machine Catalog Setup creation in Citrix Studio. It’s quite simple, so if you run already a Nutanix or Citrix environment this is what you’re looking for. Citrix XenDesktop/XenApp 7.6 feature pack 3 is now available in the download area at citrix.com. It contains minor updates for nearly all XenDesktop/XenApp components but make sure your licenses have an SA date min. 21 September 2015 before you perform the upgrade to your environment. today Citrix released the Feature Pack for XenDesktop/XenApp 7.6. The FP1 brings Session Recording and better Lync 2013 (HDX Realtime Optimization Pack 1.7: Manual) support to your Citrix environment, it will now support the use of the Lync 2013 Client running on the Terminal Server/VDI. P.S. : Please note, you need to update the HDX Realtime Optimzation Pack Client component (Media Engine) to 1.7. Tip: Still using IGEL LX/OS Version 4.x.x and require SHA2 or Storefront support for Citrix ICA sessions? i know a couple of customers and users are waiting for this, so if you still have older IGEL UDx-x2x and UDx-x3x running IGEL LX Version 4.x.x or migrated 3rd Party devices (migrated with the Universal Desktop Converter Version 1) you can now use SHA2 certificates and Citrix Storefront with the latest Version 4.14.100. Please be aware: Read the disclaimer coming with the new firmware release, it’s very important for devices coming with only a 512MB HDD/CF-Card! Also the “old” hidden failback switch (mentioned here) to select between different Citrix Receiver 12 Versions is obsolete with Firmware 4.14.100, you can now switch between Citrix Receiver Version 12 and 13! 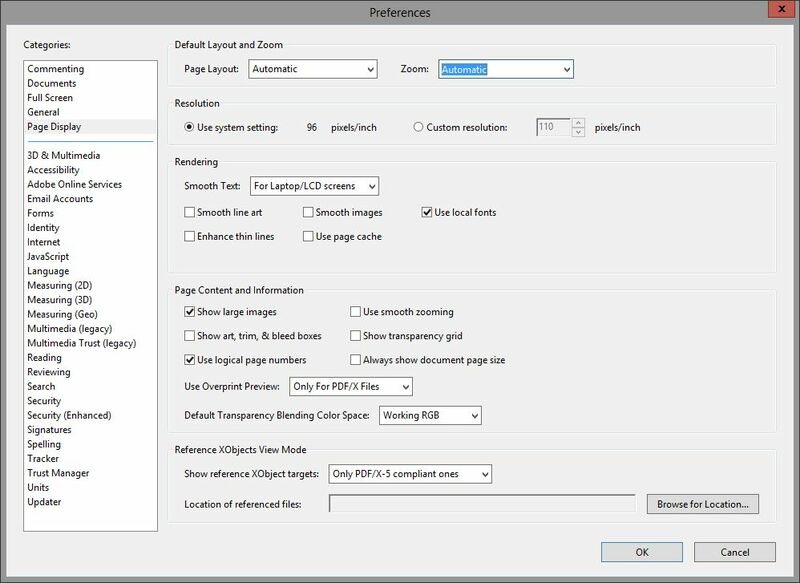 For the Storefront Setup you can use our Whitepaper here, only the local Client screens will look a little bit different regarding the GUI difference between Linux V4 and V5. i just want to introduce you a small and mostly unknown tool to configure your Storefront Servers a little bit more than with the regular StoreFront Console. 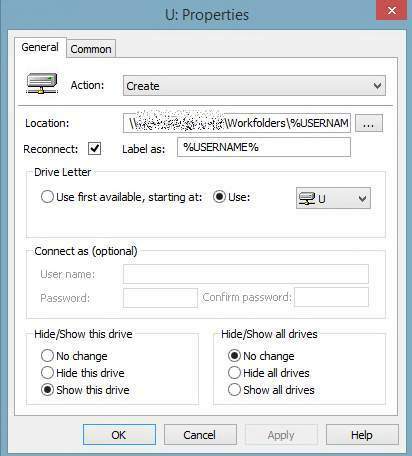 Download the archive and extract the .exe file to your Citrix StoreFront Server(s), the tool do require local Administrator permissions so make sure the User has full access to the system. 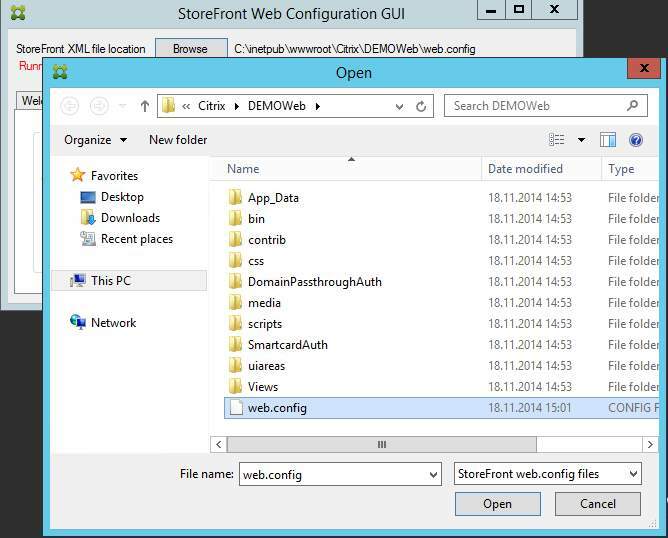 Now execute the tool to get the console, if the tool is executed at your StoreFront Server you will the “Running on Storefront” in the upper left corner. 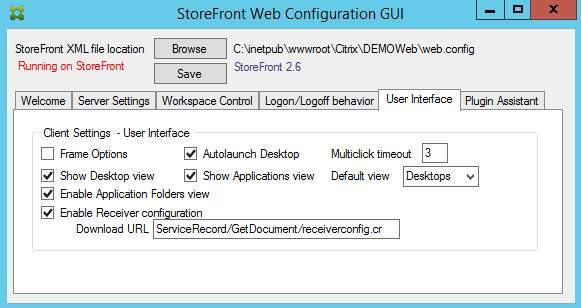 Now you need to open the web.config file for the Web GUI you want to edit, in my sample the file is located in the folder C:\inetpub\wwwroot\Citrix\DEMOWeb. Please note: Only Web related web.config files can be edited with this tool! After you have opened the web.config file you can now edit and save the file thru the tool, i do also strongly recommend to make a backup before you overwrite an existing/production web.config file. Of course you can also edit the web.config files in a manual way but this is only recommended for User with some experience, it’s also a good way to create documentation screenshots and to gain easy access to these configuration. Of course you can now ask.. Why are these settings not available in the regular StoreFront Management? This is a very good question! 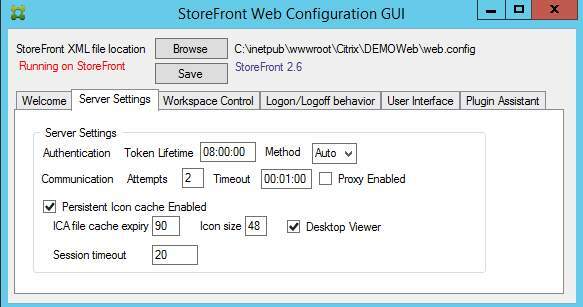 But at all this is a good (and mostly unknown) configuration tool for Administrators to maintain/configure new or existing StoreFront installations in an easy way. the Flashplayer 16 plugin now comes in two plugin versions (NPAPI and PPAPI), one for Chrome and one for Firefox… Both Plugins will currently not work with HDX Flash Redirection for Linux based Thin Clients. To get it working you need to perform the configuration settings from an older article here in the blog and you have now to install the following Flash Players to the VM / Terminal Server / Thin Client. 5) Deploy the Flash Player for Linux to the IGEL LX/OS based devices and make sure HDX Flash Redirection is enabled in the Sessions->Citrix->ICA Global configuration! 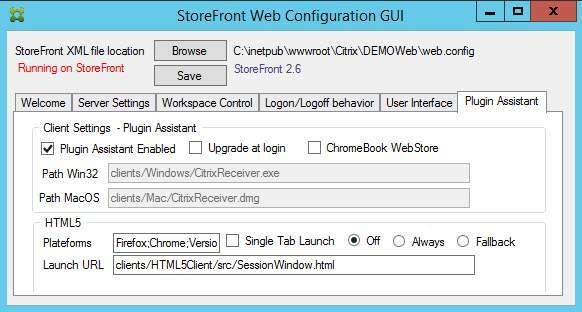 6) Make sure the Citrix Policies for the Flash redirection are in place incl. the website compatibility Policy!! P.S.2: Perform the steps in the order like shown! Tested with XenDesktop 7.5 and XenApp 6.5.
i got some questions regarding the use of legacy printer names in XenApp 7.5. In XenApp/XenDesktop 7.5 the legacy printer name policy is not available any more. This is really bad for a couple of applications which needs to get the old Printer name convention. Save this code in a powershell script and execute it as last command in a logon script. Of course you can modify it if required but please note: This comes without any support or warranty! Tip: Getting struggled with SHA2 certificates and the Citrix Linux Receiver? if you got issues with SHA2 certificates in the past and if used together with a Citrix environment you should try the latest IGEL 5.04.100 LX/OS firmware. 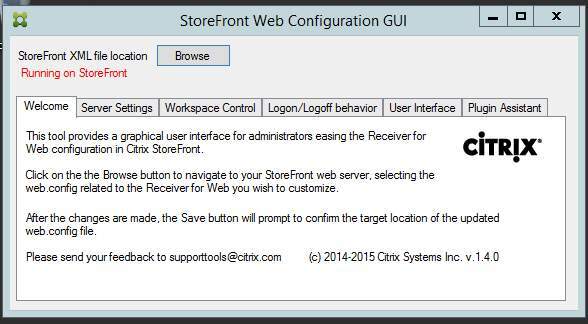 The new firmware contains a updated Citrix Receiver 13 version which comes now with SHA2 certificate support, important here: You must use the Citrix Receiver 13, no option to use Receiver Version 12 here! So it might be that you have to reconfigure your thin clients to work together with your environment and to get Receiver 13 to work. Info: Citrix going back the Linux way… Register for the XenDesktop/XenApp Linux Desktop Tech Preview now. after years Citrix is going back the Linux way… You can now register for a XenDesktop/XenApp 7.5 Linux Desktop Tech Preview. This means: Offer your users a Linux Desktop or Apps.